*DIS Contributors review resorts that they have paid for during their own vacations. 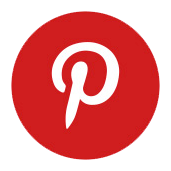 They only utilize discounts and special offers if they are available to the general public. 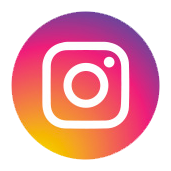 They receive no additional compensation for rooms, dining experiences, events, or entertainment so that they may give their honest opinions about price and value. Use the Complementary Boat Transportation. While many of the other WDW deluxe resorts boast being on the monorail loop, it would go against the aesthetic of Wilderness Lodge to expect a monorail. 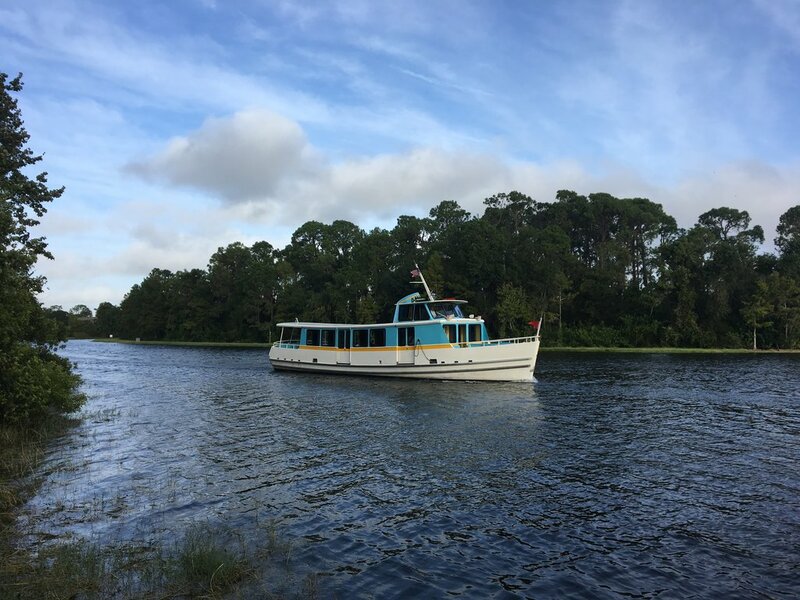 But don’t worry, you can take a boat from Wilderness Lodge to either the Magic Kingdom, the Contemporary Resort, or Disney’s Fort Wilderness Resort & Campground. The boat offers a relaxing alternative to the complementary buses (which you will have to take to the other parks), and is an especially nice mode of transportation at the end of a crazy park day. Using the boat is a nice way to get around while still keeping the relaxing vibe of Disney’s Wilderness Lodge. Watch the Electric Water Pageant. One of the perks of being on Bay Lake is that you can enjoy the Electric Water Pageant from Wilderness Lodge. Be sure to check the schedule for dates and times, and then head over to Geyser Point for the best viewing spot. Go Down the Water Slide. Wilderness Lodge’s main pool, Silver Creek Springs, is a must visit. 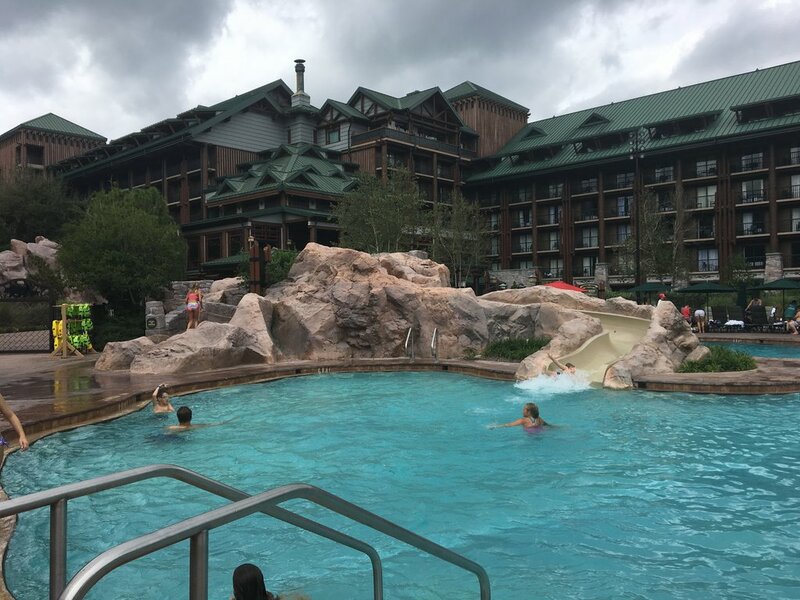 It carries the theme of the resort perfectly, with water being fed into the pool from the spring in the lobby, and its water slide is weaved into a rock formation. Kids — and kids at heart — will enjoy the thrills and beauty of the water slide. Take a ride or two down the water slide at Wilderness Lodge’s main pool. Do a Hidden Mickey Scavenger Hunt. 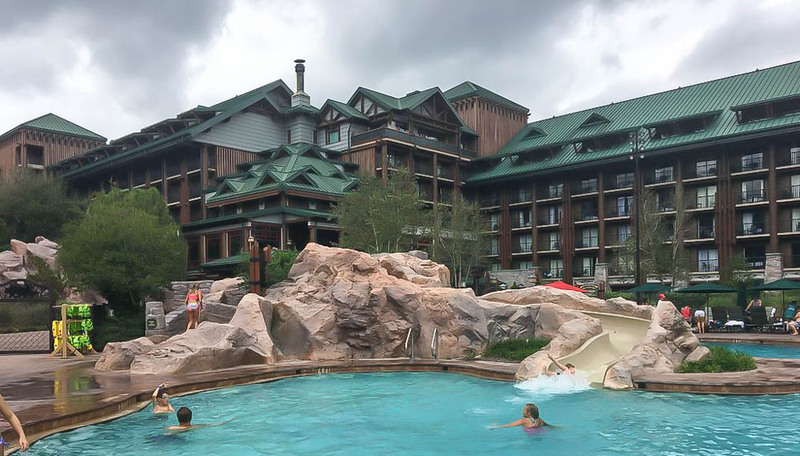 Wilderness Lodge offers guests two hidden Mickey scavenger hunts, one for the Lodge itself, and one for Boulder Ridge Villas, its adjoining Disney Vacation Club property. Just head over to the concierge desk and they will give you the packets to start off your search. Both are great ways to explore the resort, and perfect rainy day activities (although there are a few outdoor portions of the hunt). Upon completion, you can get a fun prize too. Watch the Geyser Erupt. 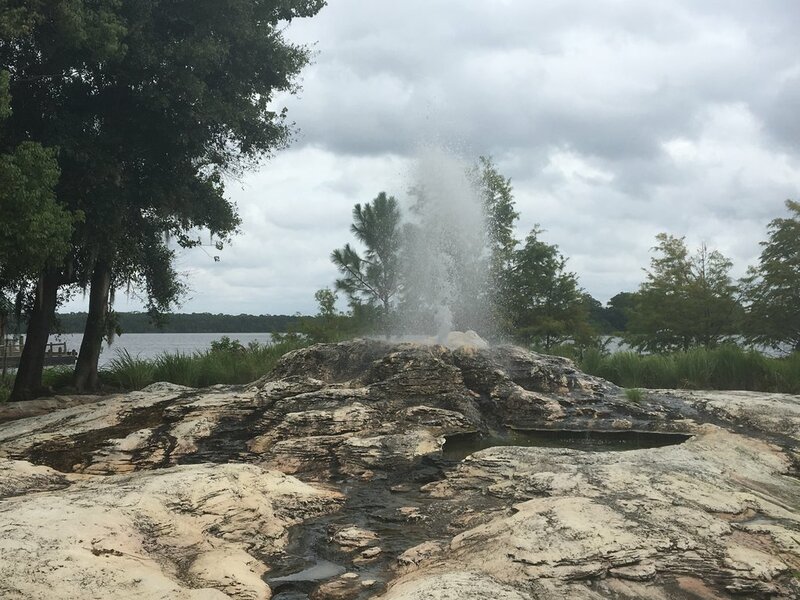 Of course there is an active geyser at Wilderness Lodge! 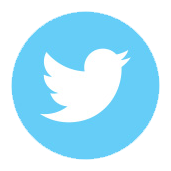 And you and your family can watch it erupt hourly throughout the day (check schedule for times). Talk about something you wouldn’t expect to find at a Walt Disney World resort! Wilderness Lodge’s geyser erupts throughout the day, don’t miss it! Make a Mickey Tie Dye Shirt. You’d probably have a difficult time finding someplace on property where you can buy a Mickey shirt for under $20. That’s why the “make your own tie dye Mickey shirt” is such a great deal. Kids (though not strictly limited to kids) can choose the pattern (Mickey is a favorite but depending on the season there may be other options) and colors, and have a blast as some really fun cast members walk them through the steps. A fun activity and souvenir for under $20! Check the Wilderness Lodge activity schedule for dates, times, and location. Ask for More Ketchup at Whispering Canyon Cafe. Do you like a side of fun with your meal? Then you must make a reservation to have a meal (breakfast, lunch or dinner) at Whispering Canyon Cafe. Located in the lobby of Wilderness Lodge, Whispering Canyon Cafe is known for its all-you-care-to-enjoy skillets filled with down home comfort food, and its (toned down) rowdy antics from the incredibly fun servers. Tip: Ask for more ketchup (even if you don’t need it)! 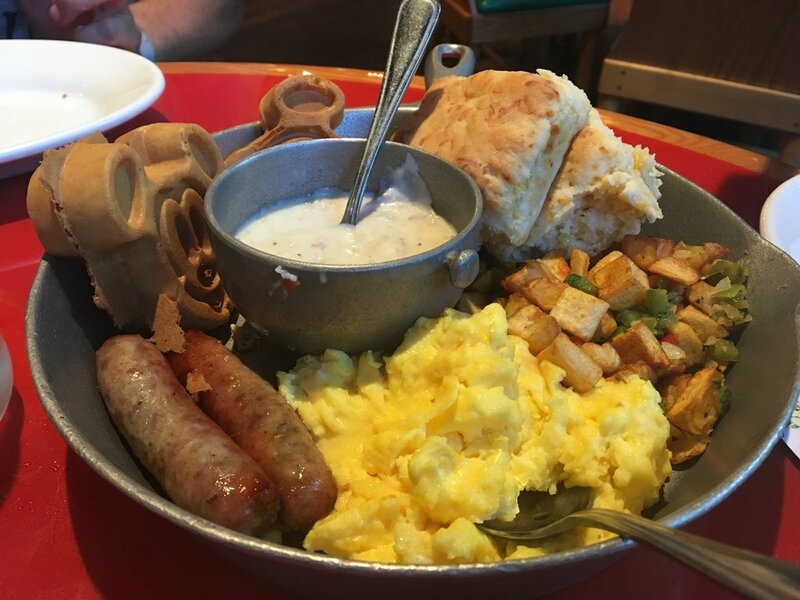 Go to Whispering Canyon Cafe for the All-You-Care-To-Enjoy skillets, and stay for the antics! 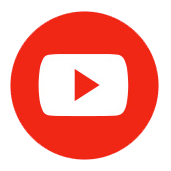 Enjoy the Campfire and a Movie. While movies outside aren’t unusual at WDW resorts, there is something about roasting marshmallows at Wilderness Lodge with Bay Lake in the background that adds another element of coziness and relaxation, especially after a day spent at one of the crowded parks. 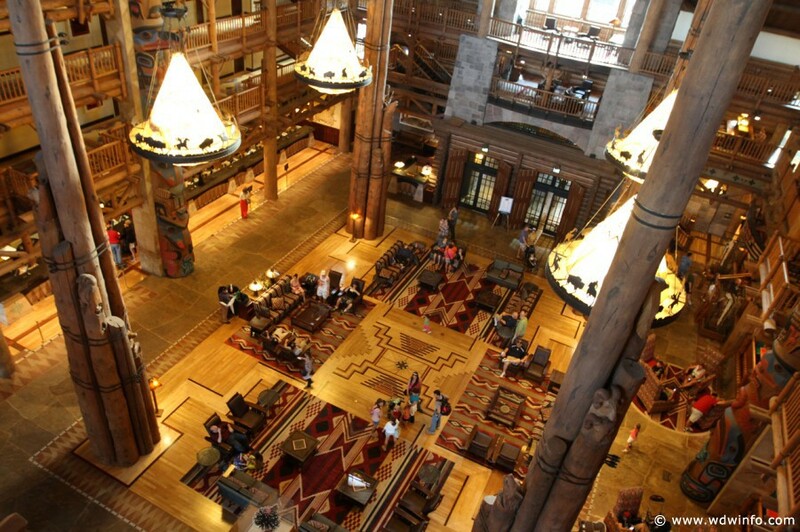 Go on the Complementary Wilderness Lodge Tour. The architecture of Wilderness Lodge is so expansive and sweeping, they offer a complementary one-hour Wonders of the Lodge tour to guests who would like to learn more. No reservations are needed, just check the Wilderness Lodge activity schedule for times and dates. Trade Some Pins. Wilderness Lodge has one of the best pin trading boards, in my opinion. 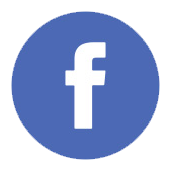 Be sure to visit it and see what goodies you can find. It’s located either at the pin kiosk by the walkway to Roaring Fork or at the Wilderness Lodge Mercantile. 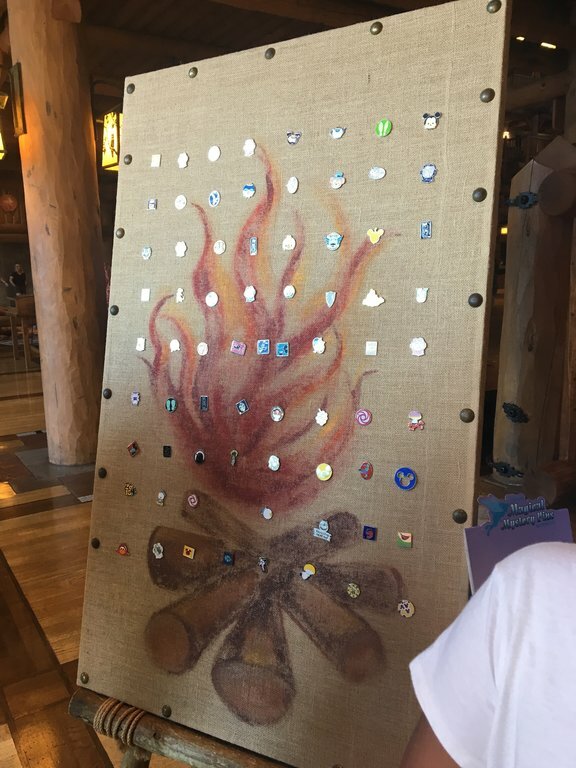 Don’t forget to check out the pin trading board at Wilderness Lodge. Bonus: Eat dinner with Snow White and the Seven Dwarfs. The newest dining option at Wilderness Lodge is the revamped Artist Point. Now a table service character dining experience, Artist Point is a prix fixe dinner where guests can enjoy a meal in an enchanted forest setting with visits by Snow White, Dopey, and Grumpy, as well as an opportunity to meet the Evil Queen. Wilderness Lodge has so many fun and relaxing things for a family to do, make sure you plan to check it out during your next Walt Disney World vacation!